I was first introduced to the concept of barefoot running in October 2006. At the time I was part of Western’s Triathlon Club and I was looking to make new friends. When the coach suggested we ditch our sneakers I didn’t want to be the odd one out so off came my shoes! I quickly realized October was perhaps not the best month to trial this technique. BRRRRRRRRR! The good news was my toes numbed quickly. At first I felt like a gazelle, leaping through nature, wondering why I had never done this before – and then my calves provided an answer. OUCH! The total naked foot run time was 15 minutes. The pain in my calves lasted for days afterward, almost as long as the dirt stuck on the bottom of my feet. Neat looking, yes. But, will running barefoot do more harm than good? The trouble I have with Lieberman’s research is that his sample group was comprised of Harvard athletes; not your average human specimen. For more on Lieberman checkout this excellent video by the MD himself! BUT barefoot running is not for everyone! In my experience the transition from shoes to no shoes can be extremely painful, especially if you start with too much barefoot running too quickly. 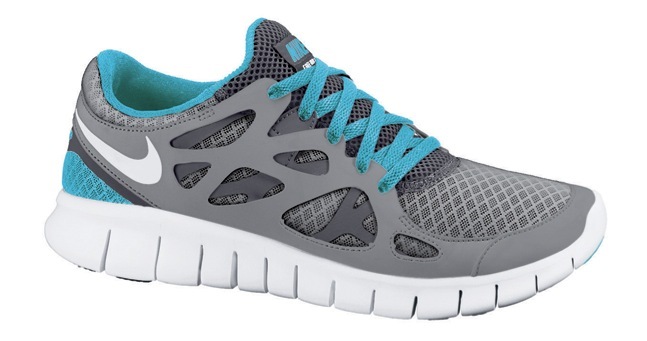 If you do want to try barefoot out I recommend looking at a shoe like the Nike Free. 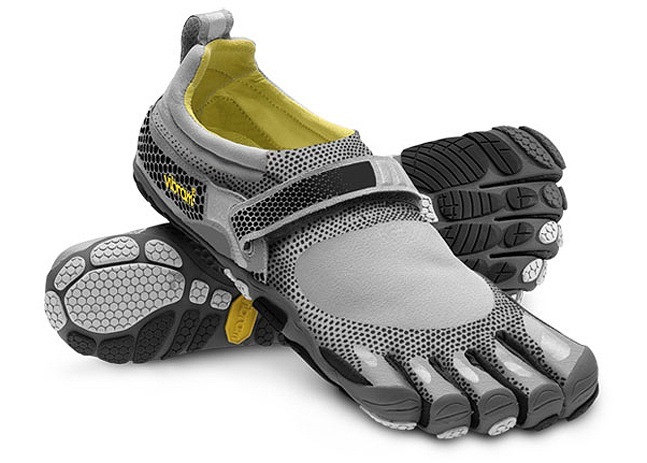 A barefoot shoe, yes, but not as high on the barefoot scale as the Vibrams. I wear the Frees on my interval runs now and I love them. Keep in mind though, I’ve been running for 10+ years, I have relatively perfect feet as far as runners are concerned (no over supination or pronation, good arches) and I’m also a lightweight runner. The Frees are as close to naked as my feet will ever get again. No more October freezing feet sessions for me! Bottom Line: For the majority of my clients I do not recommend barefoot running. Shoes were invented for a reason! If you’re going to try start with a model like the Frees and alternate running days with your old trainers. You need to gradually build your way up to comfortable and effective barefoot running! Great perspective and interesting reading. Thx for sharing Christie. I was introduced to this whole barefoot thing in June 2010 when I had unexplained foot pain. After stumping my Dr., I turned to the internet and googled ‘foot pain’ etc. and discovered this whole barefoot thing. So I tried it out by buying soft-soled moccasins (i.e. no support at all, basically a suede slipper). At the time, I was working at a summer camp, running around with kids all day etc., so I was on my feet a lot. So I started going to work in my mocs and – wow – my feet have NEVER felt better. I was amazed. I even started exercising (jogging, playing casual sports) in them and continued to feel great! I’ll admit it was weird at first, especially on gravel etc, but you start walking a bit differently and lighter and I think that’s why it worked for me. Since then I try to wear unsupportive shoes as much as possible. Ballet slippers (real ones from a dance store – not “ballet flats”) are awesome because they offer the same lack of support but look more like “real” shoes. Anyway, unsupportive footwear works for me! I recommend anyone who is interested try it out in their daily activities.